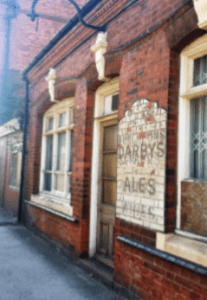 This ghost sign for Darby’s Al es was part of Lombard Street, West Bromwich for over eighty years, and, when part of the street was demolished last year, the Friends of Dartmouth Park saved the sign just before it disappeared in with the other bricks from the demolished wall. The contractors very kindly stacked the bricks separately, but not in any particular order or numbered. The Friends became the proud owners of 90 house bricks and successfully applied for Heritage Lottery funding. They were able to find a very skilled builder who built a frame for the bricks and then fitted the sign back together. Following a painstaking and sympathetic restoration the sign was ready to be unveiled in its new location on the perimeter wall of Dartmouth Park, also in West Bromwich, close to the main entrance together with an Interpretation Board explaining its significance. 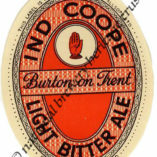 George Darby started brewing at the Bush Inn in Wood Lane, West Bromwich, in the late 1880, and his son Charles was responsible for the building of Dunkirk Brewery in Greets Green, West Bromwich. 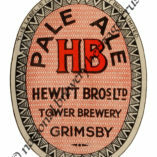 His two sons joined the family business and Darby’s became the most successful brewers in West Bromwich, purchasing Dartmouth Park Brewery and a number of other West Bromwich brewers. They had 100 pubs in their estate and the majority were managed. 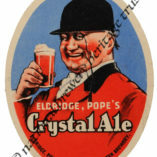 Unfortunately, due to having to pay death duties when their father died, his two sons had to find a way of paying them and they decided to sell the brewery and pubs to Mitchells & Butlers (M&B) who closed Darby’s Brewery in 1952. George and Charles were invited to join M&B. 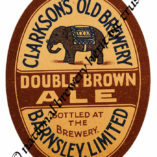 Darby’s Pale Ale (DPA) was a very popular brand in the Black Country, and M&B continued brewing it, but unfortunately it didn’t taste the same and was discontinued. Charles Darby CBE, the great grandson of George Darby, and latterly Chairman and Chief Executive of Bass M&B, unveiled the sign. 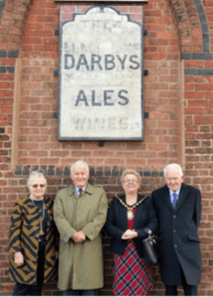 At the luncheon, following the unveiling, The Worshipful Mayor of Sandwell, Councillor Joy Edis, gave a speech about the history of Darby’s and Charles Darby responded, talking about his grandfather, who was a self-made man with very progressive ideas, for the time, on pub management. He then engaged in conversation with people whose parents or grand-parents had worked for Darby’s. 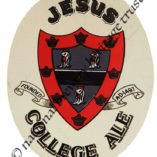 Guests were given laminated c oasters depicting two of Darby’s old bottle labels, obtained from The National Brewery Heritage Trust. Pictured from the left: Carol Hartill, Friends of Dartmouth Park, Charles Darby, The Worshipful Mayor of Sandwell, Cllr Joy Edis, and Michael Darby, who had travelled from the Wirral for the unveiling. Carol Harthill is in the process of writing a book on West Bromwich brewers, particularly Darby’s and we look forward to its publication.